Vivid, evocative, arresting – that’s what we love about street art. A mural that’s painted on a building as canvas has the ability to literally stop you in your tracks. 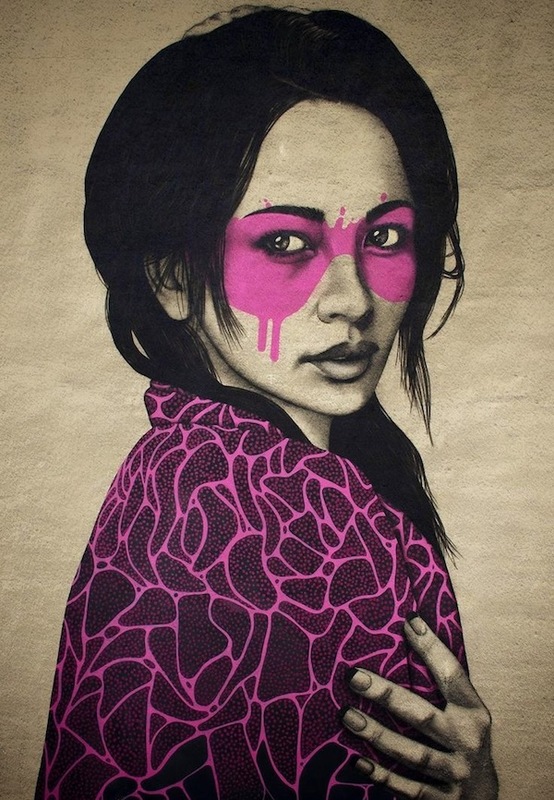 Lovers of the urban art scene, it was great to come upon the work of Fin DAC. The London-based artist describes his style as “Urban Aesthetics”. “In a relatively short urban art career, I have defined and perfected an atypical paint/stencil style that ignores the accepted visual language of street art almost completely – I call it Urban Aesthetics. A modern-day take on a 19th century art movement,” explains DAC. We call it absolutely cool. AphroChic's Reflection Wallpaper In The Land of Nod Holiday Catalog!